milwaukee museum of art, originally uploaded by Alida's Photos. "The structure contains a movable, wing-like brise soleil which opens up for a wingspan of 217 feet during the day, folding over the tall, arched structure at night or during inclement weather. 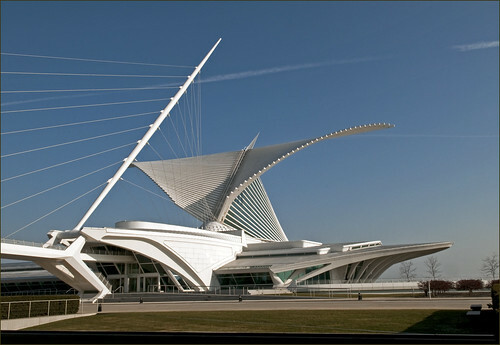 The brise soleil has since become a symbol for the city of Milwaukee.